Home > No GMOs Shirts & Buttons > NO GMO BUTTONS > March Against Monsanto Button - Available in 3 Sizes! 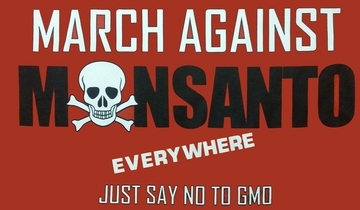 On Saturday May 20, millions of activists from around the world will once again March Against Monsanto, calling for the permanent boycott of Genetically Modified Organisms (GMOs) and other harmful agro-chemicals. 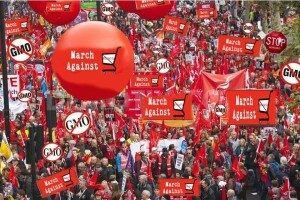 For more information on the May 20th actions please check out www.march-against-monsanto.com. Half the proceeds from the sales of these shirts and buttons will go to help build the May 23rd March Against Monsanto actions. Wear one and become an advocate for the cause! All of our "No GMO" shirts are made with 5.0 oz pre-shrunk 100% Certified Organic Cotton.